BlackBerry 10 not expected until 2013. RIM's BlackBerry line isn't seeing the same shelf space that it used to in carriers' retail stores, according to an analyst. Worse, some of these locations are unable to sell a single Blackberry in a 30-day stretch. "In terms of sell-through, we believe that current run rates are roughly one-fifth of those we saw in the United States just eight months ago," Pacific Crest analyst James Faucette told AllThingsD. "Further, we found a meaningful number of carrier retail locations which had not sold a single BlackBerry in over a month." This trend stands in contrast to what both RIM and carriers have recently said about 2013-bound BlackBerry 10 devices. 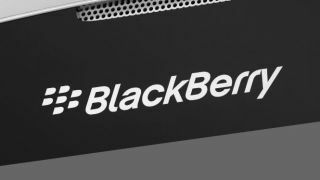 RIM is quoted as saying that networks are "visibly enthusiastic" about BB10 and Verizon's CEO Lowell McAdam said he wouldn't count BlackBerry out. The vote of confidence from McAdam is a good sign, as is the commitment from another Verizon executive who said that the company will launch BlackBerry 10 devices next year. However, none of this helps get RIM through the holiday season. Its older phones and tablets like the Playbook will likely be sitting next to the iPhone 5, the iPad Mini and a host of Android phone running the Jelly Bean OS. "We remain focused on the successful launch of BlackBerry 10, scheduled for the first quarter of calendar 2013, and believe the delivery of high quality, fully-featured BlackBerry 10 smartphones will be an attractive offering to our customers." But with studies that indicate current BlackBerry devices account for just 1% of mobile traffic (down 25% over a year), RIM may have a difficult time recapturing that shelf space in retail locations.